Children love a birthday party, especially when it’s their own. 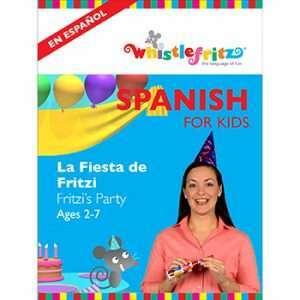 But when is Fritzi’s birthday? 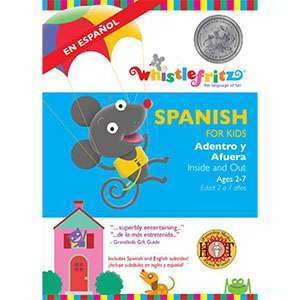 Join the fun-loving Fritzi the mouse and his friend Maria for this festive sing-along, dance-along introduction to Spanish language-learning. From el invierno to el otoño, it’s a year-round celebration as children learn words and phrases associated with all four seasons. 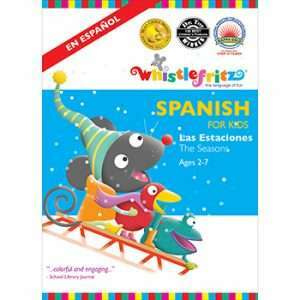 This lively interactive Spanish immersion video engages children with colorful backgrounds, animated characters, catchy original songs, and live-action footage of familiar year-round activities, including sledding and snowball throwing, splashing in puddles, swimming, playing in leaves, and trick-or-treating. 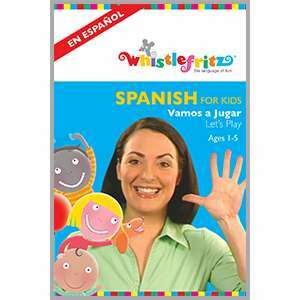 Upbeat live-action speakers introduce and reinforce basic Spanish words and phrases through call-and-response and repetition. 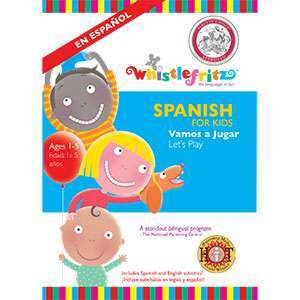 A Translation Guide—which lists all words in order of appearance—provides an easy reference for parents who are first-time learners of Spanish. 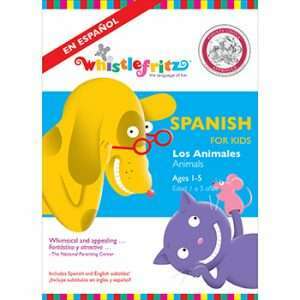 Designed for children ages 2-7, LAS ESTACIONES is perfect for the whole family! Winner of a NAPPA GOLD Award and Mom's Choice Awards' GOLD Award; distinguished by Dr. Toy as one of the 10 Best Audio-Visual programs of 2011 and one of the 100 Best Children's Products of 2011; endorsed by KIDS FIRST! and the Coalition for Quality Children's Media; winner of a Mr. Dad Seal of Approval; winner of a Dove Foundation Family-Approved Seal; recommended by the Parents' Choice Foundation.